Quintagroup uses JSON in Web Service development as it is not only alternative to XML, but future successor of its application in the web. 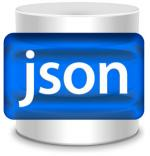 One of the main functions of JSON is to transmit data between web application and server.The standard is quick and clean, so it is logical that JSON becomes more and more popular among Web Service providers and starts to replace XML as more productive and more useful. Though it is true, that not all need XML’s complexity and markup vocabulary, XML still has its niche in Web Services and can’t be replaced that easily. But if you need simple data structures and a compact data exchange format, it is simple to convert XML into JSON and make your web project more flexible and up-to-date. Contact Quintagroup to receive solution or assistance for your project based on this technology.